SAN JOSE, Calif. – The San Jose SaberCats added two more first-year players to their 2015 roster with the acquisitions of offensive lineman Viondy Merisma and defensive back Brandon Sermons. Merisma (6-3, 290, American International) comes to San Jose for his first AFL season after appearing in 26 games at American International, earning Division II All-America and First Team Northeast-10 honors as a senior in 2011. He spent time with the NFL’s Tennessee Titans as an undrafted rookie free agent earlier in 2014. 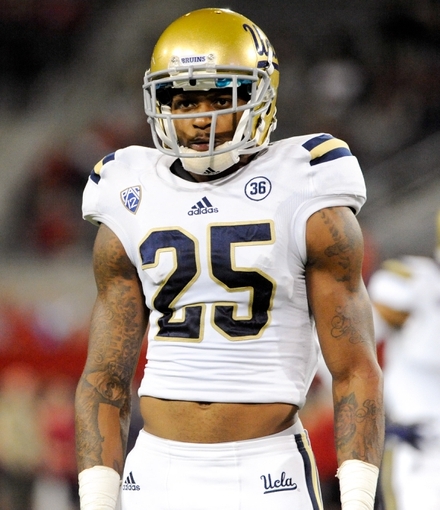 Sermons (6-1, 195, UCLA) enters his first season in the AFL after a 42-game college career at UCLA. He saw his most extensive playing time as a senior in 2013, collecting a career-high 38 tackles in 12 games for the Bruins. Before coming to the AFL, Sermons spent time with the NFL’s Arizona Cardinals as an undrafted rookie free agent in 2014.